A few more than a dozen fans of Alyssa London, or Miss Alaska, are groaning in disappointment and one resilient fan screams, “We love you Alyssa!” after the last of five Miss USA contestants advance to the next round of the pageant. Alyssa London wasn’t one of them. Before the final five were named, anxiety and expectation were high at the Juneau watch party. Even before London made it to the top 10, her fans thought she had a good chance to win. Yolanda Fulmer said it was exciting. 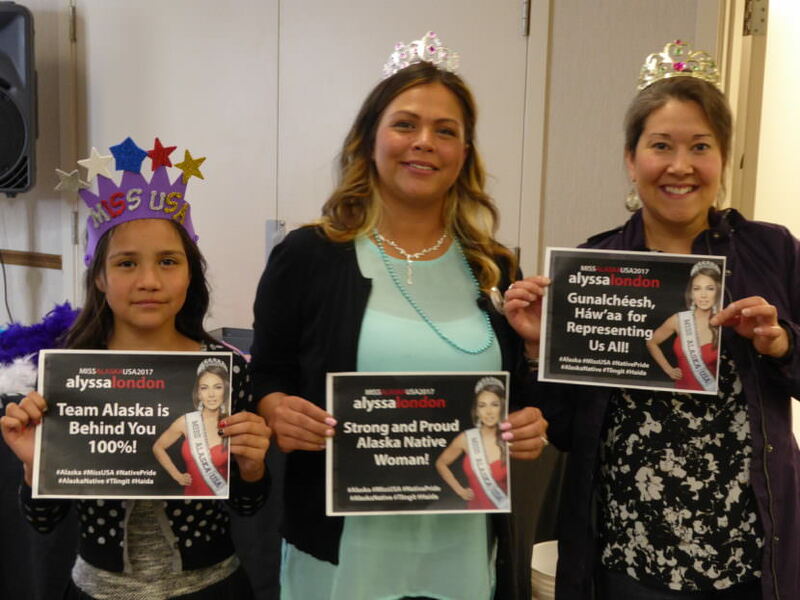 “I think this also shows other young women, in our community as Alaska Natives or Native American women, that their dreams are important, that they should go for them, and that they can accomplish their dreams and dream big,” Fulmer said. Fulmer said it’s disappointing that London didn’t win but she’s proud of what she accomplished. “Just being able to make it this far and also standing for her community and representing … she has had a strong representation for her culture and her Alaskan community and I’m just very proud of her,” Fulmer said. London graduated from Stanford University where she wrote an honors thesis on economic development in Southeast Alaska. She’s the cultural ambassador of the Sealaska Heritage Institute and she built a business that sells products influenced by Southeast Alaska Native culture. When a Miss USA host asked London what she wanted people to know about Alaska, she singled out Native culture. After London’s loss, the watch party crowd recorded a video message to show her their support. Outside of the party, Tommy Gamble said he is a friend of London’s and that this loss is not the end for her. 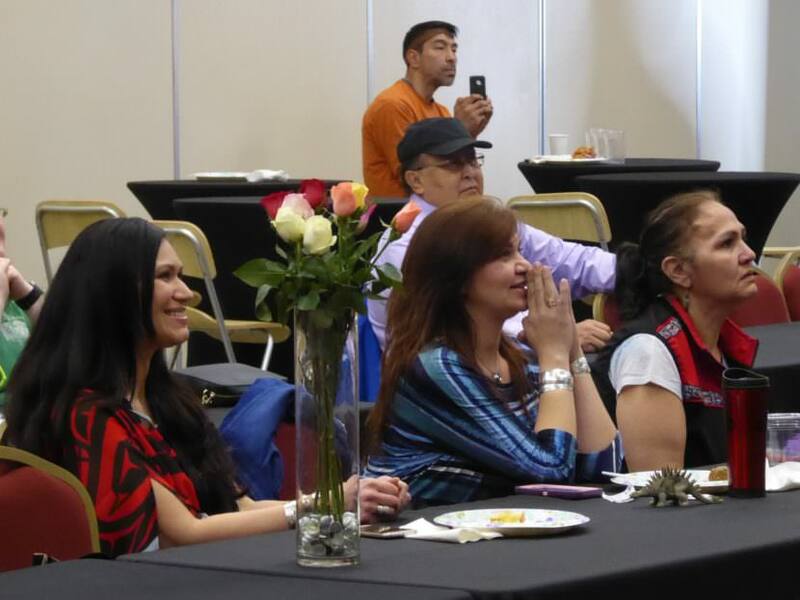 The watch party was organized by the Central Council of the Tlingit and Haida Indian Tribes of Alaska. Kàra McCullough, Miss District of Columbia, won the Miss USA crown on Sunday.